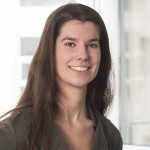 Rose van der Linden – ESR15: The life-course construction of social inequality in health in old-age. The researcher will work on the role of (changes in) individual resources (e.g., cognitive, emotional, motivational, personality, social networks), system-related socio-economic variables as well as individual life course events for explaining the lifespan development of physical, mental and cognitive health and well-being across the adult life course into very old age. The work will be based on several large-scale data sets available at the Center for the Interdisciplinary Study of Gerontology and Vulnerability, University of Geneva that cover longitudinal changes in those factors. Special attention will be given to the question of social inequalities and the multidisciplinary nature of co-developing factors associated with the built-up of reserve capacity and resilience across the lifespan and their effects on health and well-being in old adulthood using advanced multivariate statistical approaches to model those multi-level change processes. 15.1 Research design. Development of an integrated theoretical framework. 15.2 Data production. The project involves complex data manipulation and management. 15.3 Analysis/algorithms. Longitudinal modelling of the data prepared including multilevel modelling to answer the research questions. 15.4 Working papers/articles. Based on the longitudinal modelling results, at least 2 working paper will be produced and submitted to an academic journal. Plus, a working paper to document the possibility to make the same analyses on the other LONGPOP databases. van der Linden, B. W., Courvoisier, D. S., Cheval, B., Sieber, S., Bracke, P., Guessous, I., … & Cullati, S. (2018). Effect of childhood socioeconomic conditions on cancer onset in later life: an ambidirectional cohort study. International journal of public health, 1-12. Rose is a life course epidemiologist and PhD candidate in demography based at the Center for the Interdisciplinary Study of Gerontology and Vulnerability (CIGEV), at the University of Geneva. She holds a Bachelor degree in Health Sciences and a Master degree in Health Sciences Research, with a specialization in clinical epidemiology, both from Maastricht University, the Netherlands. Her research focuses on healthy ageing from a life course perspective. Different aspects of health that are of importance when studying ageing will be explored, such as: physical and mental health, cognitive performance, and health-related well-being. Special attention in her work is given to the influence of life trajectories (employment, family, residential, health) and critical life events on social inequalities in old age. She is mainly conducting longitudinal research in healthy ageing, where possible using and/or comparing with different international datasets. She is happy to be part of an interdisciplinary research team that is involved in creating understanding of societal transformations through the use of longitudinal population registers and large research databases.